Before I continue, there’s still time to donate any items you can to Sandy victims. From what I’ve been hearing, clothing donations and food donations, while appreciated, are no longer as necessary as money is. Also, many people are in need of cleaning supplies to get their houses back in some semblance of order, so anything you can do would be wonderful. This is probably the best place to do your donating. Thanks! So it’s about to get real in here, readers. Today my boyfriend posted some really awful news on my Facebook page. Did you hear? You must have. Do I even need to say it? Ok, fine, since you insist. Hostess is closing. I need to say that again: HOSTESS IS CLOSING. Oh it hurts me so. Does anyone else find it odd that the words “artificially flavored” and “freshness guaranteed” are on the same box? How did that escape me back then? Now, I kind of really hated high school. I went to a pretty competitive, stressful one and was constantly anxious about something. I’m not much different now, but that’s for another sobby post. Anyway, so I was quiet and sad pretty much all the time for the first, oh, three years. And all the time I did not spend with other people was spent with the above handheld pies. They look disgusting, right? I know. But they treated me so well. And they were delicious! They were reliable, they were sweet, and they just kept showing up to comfort me. That might be the saddest thing I’ve ever typed, and I used to write some depressing stuff, man (yep, I’m letting it all hang out for you guys). I actually remember my little sister reaching inside of the box more than once, hoping to taste this glorious treat herself, only to be disappointed and perplexed that there was no pie to grasp. I’m honestly not sure if, to this day, she’s ever had the [dis? ]pleasure of tasting one of these. Now as you can see, there are eight pies in each box. No one else in my family was really into these. And there are eight pies in each box. And there were many boxes purchased. I think you understand what I’m trying to tell you. So, eventually, my dad got hip to my habit. I think it took my pediatrician not-so-gently explaining that my cholesterol was alarmingly bad and that I was starting to get kind of huge. And then the pies were gone from my life. And I haven’t had one since. Nor can I, for I fear relapse. 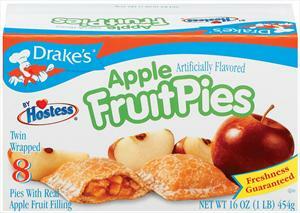 So now I’m in good standing health-wise, thanks to my abstinence from these fruit-filled Satan squares. I’m happy to have kicked the habit, but, well, I’m also kind of sad that I’ll never see them again. I mean, maybe I would have wanted one, one day. Just a taste, you know? And now I’ll just never even have the option. Farewell, old friends. Ugh, you treated me so poorly. See you in Hell. Are you as sad as I am? No? 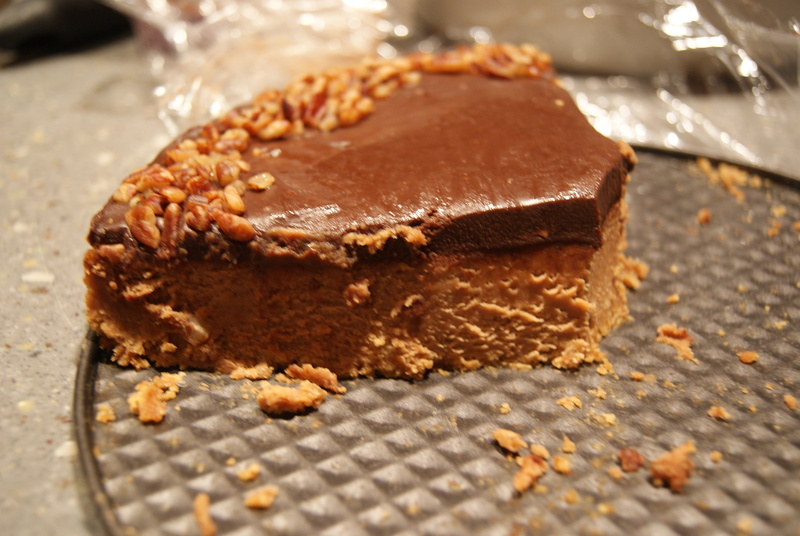 Do you really just want to hear about a Peanut Butter Cheesecake I made? You’re right, I understand. Let’s talk about that. First, preheat your oven to 350ºF, grease a 9″ springform pan, and bring a large pot of water to a boil. We’ll be using the water as a “bath” for the cheesecake, since this will help keep the air in the oven moist and keep the top of the cheesecake from cracking. Also, cover the of your springform in foil if you’re worried about leaks. 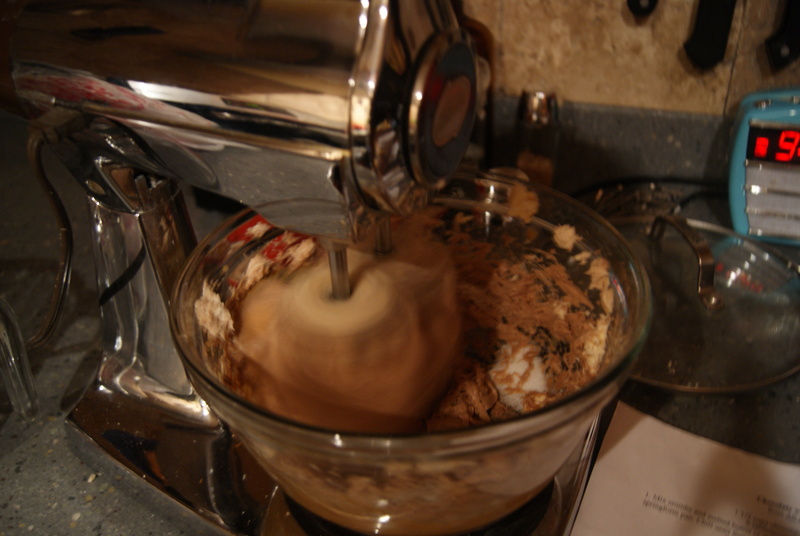 In the bowl of a stand-mixer or hand mixer, cream together cream cheese, peanut butter, sugar and chocolate until the mixture is smooth. Mix in your egg, then blend in heavy cream and vanilla until everything is fully combined. Pour the batter into your springform pan, and place this pan in a larger pan, then pour your boiling water into the larger pan so it reaches about halfway up the sides of the springform. Very carefully place this whole thing into the oven and bake for 25 to 30 minutes– so that it appears almost done but still jiggles around in the center quite a bit. Now, this is a great tip from the author of this recipe: once you’ve determined the cake is done, don’t remove from the oven. Turn the oven off and let the cake sit in the oven as it cools down, which will allow the cake to cook completely without burning or curdling. This should take about an hour. After the hour’s up, remove the cake from the water bath and allow it to cool on your counter for another hour before placing in the fridge until you’re ready to add your ganache. Place chocolate in a heatproof bowl. Now, in a small saucepan, bring your heavy cream to a boil and then pour half of it over your chocolate. Let this mixture sit for about 30 seconds, and then gently whisk the mixture in small circles, starting in the middle of the bowl and working your way out in larger circles. Then pour in the remainder of the cream and repeat the circular motions until you’ve got something shiny and smooth. Stir in your butter and mix just until it’s incorporated. 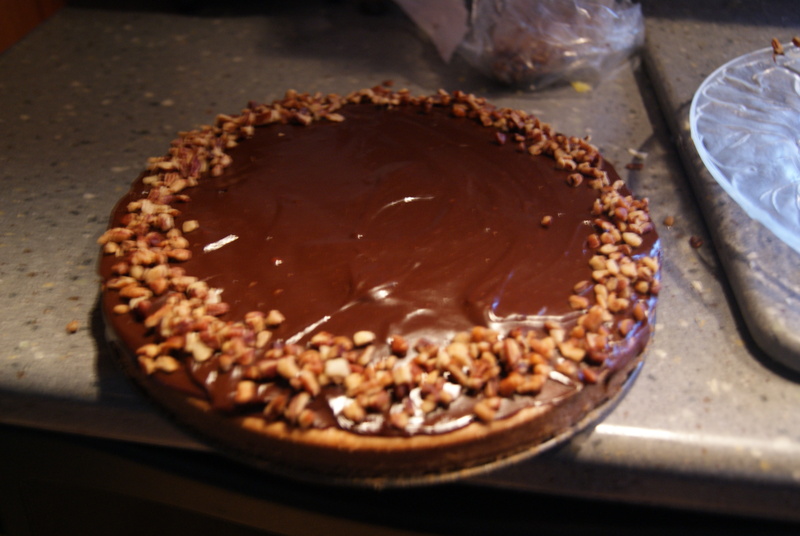 Pour the ganache over your cake and refrigerate until it’s been set. Yes, I realize that thing is WAY too close to the edge of the counter, but don’t worry, miraculously nothing awful happened. I’d be pissed after all of the work I put into this cake. So, was it worth the effort? Well, I’m not going to say yes. I’M GOING TO SAY HELL YES. It’s coming close to being an all-time favorite cake. We actually had some guests over after this was made, who agreed that it was super delicious. Fortunately we had a whole half to ourselves once our guests left. ← You Have To Pumpkin Cinnamon Roll With The Punches. Ugh. Sorry. Thanks Trixy! Definitely worth a try! !